well I recently bought a UPS (battery backup) for my computer, after i suffered 3 power stops to my house in two days. It has a digital screen which can display different types of info, including avg watt load. running games that use SLI, my load averages about ~525~, and I've seen a peak of ~591~. 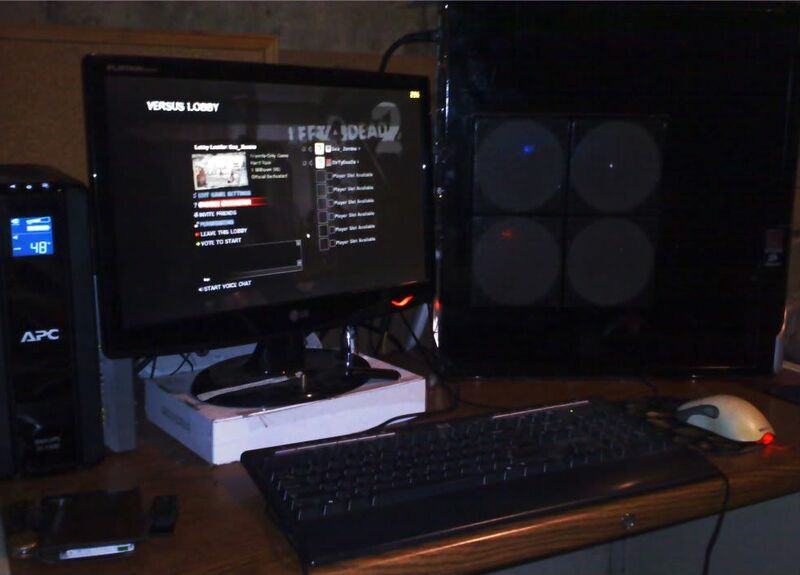 However, that includes my monitor that is plugged into the UPS, which draws about 30 watts. I am idling @ ~312~/~306~ watts with 100%/50% fan speed on my gfx cards. short cord so its up on my desk but it blends in well.